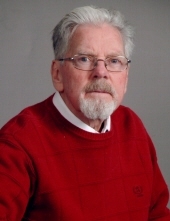 Donald Austin Gose, age 75, of Mattoon passed away at 6:00 a.m. on Wednesday, November 14, 2018 at his residence. Funeral services honoring his life will be held at 10:00 a.m. on Monday, November 19, 2018 at First Baptist Church, 1804 South 9th Street, Mattoon with Pastor Dennis Strawn officiating. Burial will follow at Enon Baptist Church Cemetery. A visitation for family and friends will be held from 5:00 p.m. until 8:00 p.m. on Sunday evening, November 18, 2018 at First Baptist Church. An additional visitation will be held prior to services, Monday morning from 9:00 a.m. until 9:45 a.m. Schilling Funeral Home is assisting the family. Don was born on December 13, 1942 in Lerna, IL the son of Charles and Geraldine (Orrell) Gose. He married Carolyn Sandiford on August 16, 1964. She preceded him in death April 29, 2017. Survivors include daughters, Kim (Pat) Henness of Mattoon, IL and Lisa (Jeff) Roush of Paris, IL; grandchildren, Doug (Megan) Henness, Craig Henness (Kristen Doty), Ben Roush and Emilee Roush; and many special family members and friends, including Jane Anderson. He was preceded in death by his parents, siblings, William (Inez) Gose, Richard (Joan) Gose, Martha (Russell) Hovis, and Betty Hendricks. Don was a graduate of Charleston High School, class of 1960. He was a member of the First Baptist Church of Mattoon where he served in many capacities. Don worked for CIPS (later Ameren Illinois) for 38 years. In his retirement, he enjoyed volunteering with the American Baptist Men Disaster Relief crews, working on Five Points Farms, and visiting with friends (old and new). Don and Carolyn enjoyed traveling on cruises and train trips, including Alaska, Hawaii and other places in the United States with their friends and family. He was a wonderful husband, father, grandfather and uncle, always supporting his family in various school activities and sports. He led by example and mentored many throughout the years. Don will be dearly missed by his supper club, classmates, coffee buddies, neighbors, family, friends, and grandchildren. Memorial donations in his honor are suggested to First Baptist Church of Mattoon, Lincolnland Hospice of Mattoon or the American Cancer Society through Baptists Believin’ in a Cure Relay for Life team c/o First Baptist Church. To send flowers or a remembrance gift to the family of Donald Gose, please visit our Tribute Store. "Email Address" would like to share the life celebration of Donald Gose. Click on the "link" to go to share a favorite memory or leave a condolence message for the family.